Ramey Wine Cellars was founded in1996 by David Ramey and his wife Carla. After sixteen years making wine in Sonoma County, and firmly establishing Matanzas Creek and Chalk Hill wineries in the marketplace, David crossed the Mayacamas to spend six years in the Napa Valley - first as Vice President Winemaker for Dominus Estate and project manager for the construction of their new winery, then helping Leslie Rudd reshape the Girard Winery into Rudd Oakville. 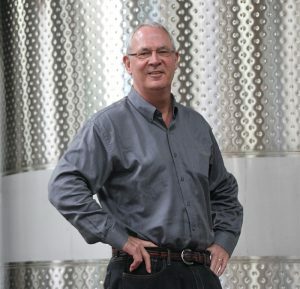 Over the years, David has helped pioneer traditional, artisan winemaking techniques in California during a period when making wine by the University book was the norm, helping shape the way many wines in the United States are made today. In 2014, David & Carla founded Sidebar Cellars, which adheres to the same quality winemaking at Ramey Wine Cellars while producing wines that are of different varietals (Kerner, Sauvignon Blanc, Rosé, Old Vine Zinfandel, etc.). These wines are also meant to be consumed when they are young and fresh. In addition to managing Ramey Wine Cellars, David enjoys consulting for a select handful of clients in the North Coast. 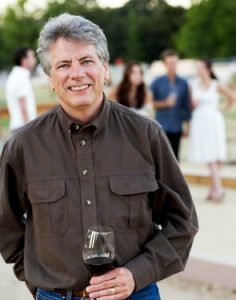 When Michael Stewart sold the technology company he founded and ran for 25 years in Texas, he knew that his next venture would in some way allow him to capitalize on a longtime interest in wine. He made several trips to the Napa Valley over the years and was charmed by the idea of settling here and building a family business. In 2000, Michael launched Stewart Cellars with small inaugural releases of hand-crafted Cabernet Sauvignon and Pinot Noir sourced from some of the finest vineyards in Napa Valley and Sonoma County. With both son James and daughter Caroline now on board at Stewart Cellars, Michael's dream for the Stewart clan to set down permanent roots in Napa Valley has come true. 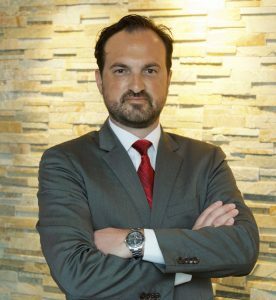 Geoffrey Bouilly is Caribbean Market Manager for the group Moet Hennessy, which owns the famed champagne house Veuve Clicquot. Geoffrey has been in the luxury wine and spirit industry for over 15 years and travels the Caribbean on behalf of Veuve Clicquot for the past 8 years. “A forward-thinking spirit has been guiding Veuve Clicquot since 1805, when Madame Clicquot inherited the Maison from her husband. Her ambition? To make its fine champagne renowned all over the world” says Geoffrey, “and like Madame Clicquot, it is always a pleasure for me to make people discover or re-discover the magic of our champagne and the audaciousness of our history”. Geoffrey guides the 200-year-old House with passion on an amazing journey through the champagnes and the history of the “yellow label”.